Armpit odor can be embarrassing and unpleasant not just to yourself, but also to others. Smelly armpits are caused by an accumulation of bacteria on the skin. Bacteria thrive in warm, moist places, making your armpits a particularly good environment for them. According to the Home Remedies For You website, antiperspirants can clog pores, which leads to trapped sweat and increased odor. There are many remedies you can use to combat armpit smell right from your home. 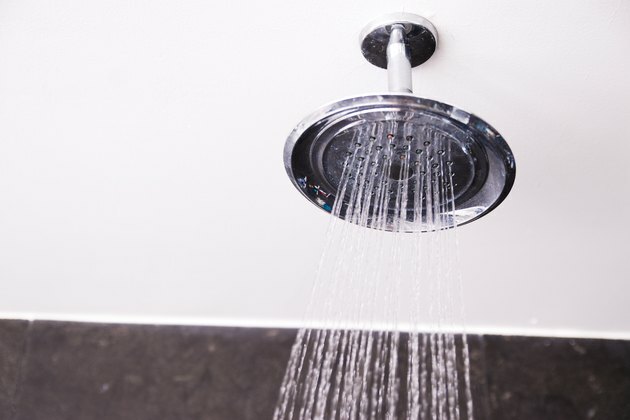 Shower or bathe regularly to keep your body clean. Shower with antibacterial soap as much as needed in the summer when you tend to sweat more, and shower after working up a sweat in the gym. Apply Epsom salt or rosewater to your bath if you prefer soaking in the tub. 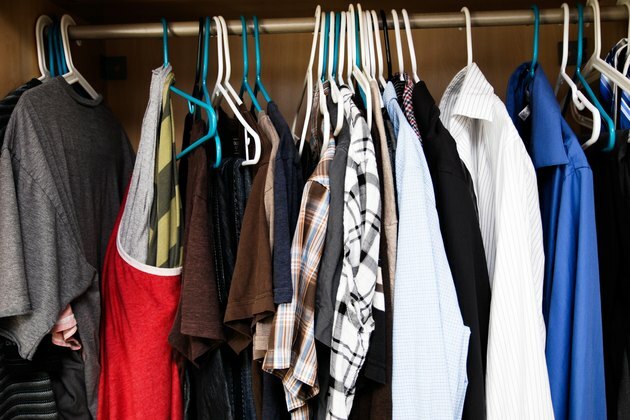 Avoid wearing the same clothes twice because body odor lingers on clothes. Wear cotton shirts in summer because they soak up sweat, and avoid wearing sleeveless shirts that make armpit odor more prominent. Drink a cup of sage tea daily. According to the Natural Home Remedies website, sage tea reduces body odor and reduces sweat gland activity. Wet a cotton ball with white vinegar, and wipe your underarms with it. Allow the vinegar scent to fade, and enjoy being odor-free the entire day. Using vinegar reduces your skin's pH, helping control armpit odor. Mix 1 oz. water with two drops of tea tree oil, and poor the mixture in a spray bottle. Use this instead of over-the-counter deodorant. Tea tree oil prevents armpit odor because it's an antibacterial herb. Apply baby powder or talc as another possible deodorant replacement that also helps keep the armpits dry.